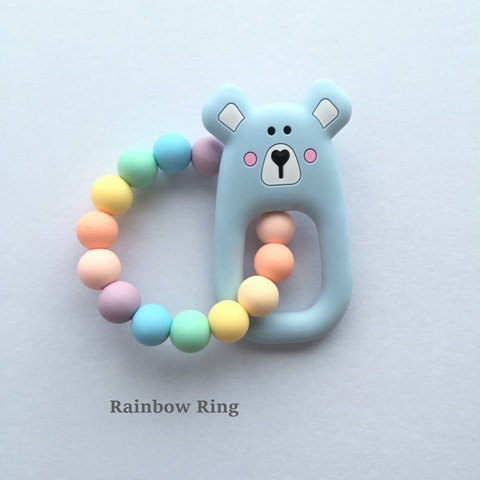 The teething ring is not just cute, they are practical too! 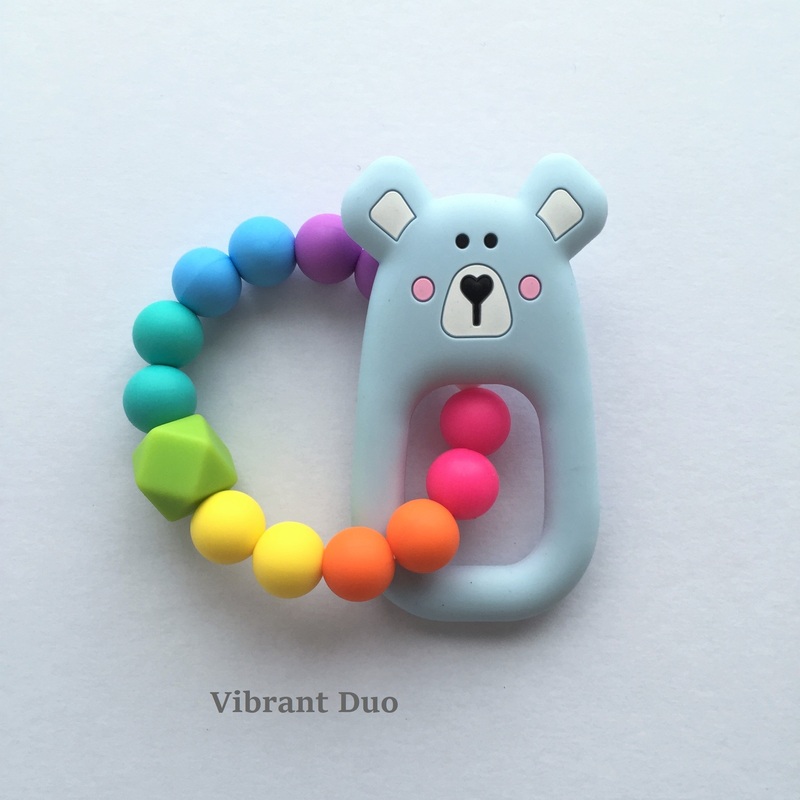 Our teething ring helps to develop fine motor skills and dexterity, and soothe baby's sore gums. Lil bub can shake, rattle and chew their little hearts content! 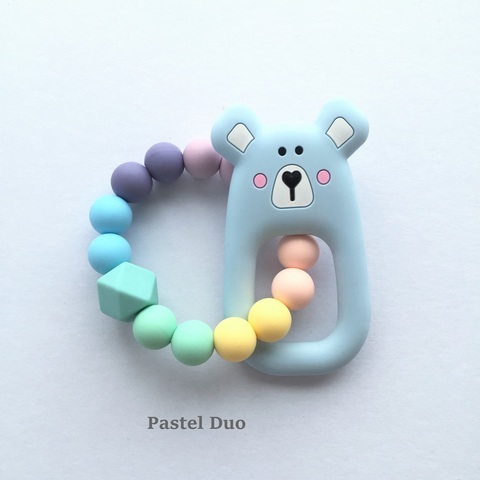 It is one of our absolute favorite teething toys for infants and is sure to provide a fun distraction for a fidgety baby. Keep your baby comfortable and engaged with our range of baby teething rings and teethers. 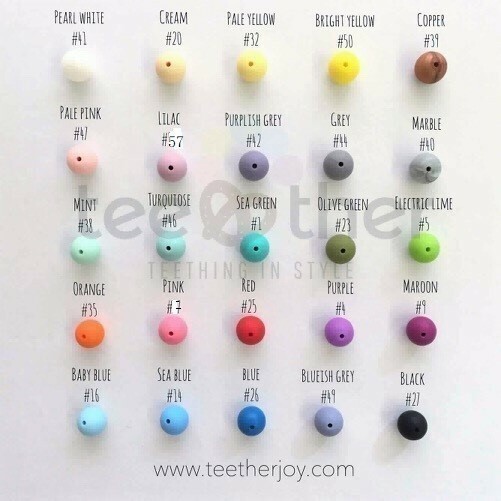 Handmade with high quality, 100% food grade silicone beads that are free from BPA, lead, cadmium, phthalates, PVC and latex, and with lots of love from us. A must have accessory for any teething baby. Besides our rainbow series, you can now DIY with your favourite colours bead! • Clean the silicone teether and silicone beads with a cloth and a little washing soap or warm water before use. • Do not boil, steam or microwave sterilize. 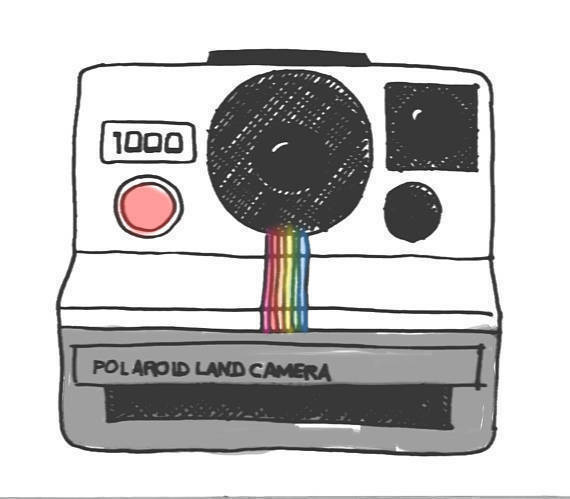 Do not use solvents or abrasive cleaning agents as these could damage the product. • Store in a safe place away from small children when not in use. • All of TeetherJoy’s products should be used under competent adult supervision and should never be used during sleep times.